...is the splash headline in today’s Financial Times. We have warned repeatedly of such a move. Unite housing workers will link with tenants and housing campaigners to stop the government. According to the Financial Times, the plan is to sell off the government stake in housing associations. The excuse is that the Office for National Statistics (ONS) has reclassified housing associations as public sector bodies. When seen as private sector their borrowing was not counted as part of the public sector debt. Reclassification would add about £60bn – not good for ‘deficit reduction’ propaganda. The reality is that this has actually been long planned. It would amount to one of the biggest privatisations so far. In 2014 the net assets of housing associations stood at £133bn, of which taxpayers have contributed £44bn in capital grants during the past three decades. The treasury would get a windfall and investors would get access to the housing associations huge assets accumulated with public support. The government – following Policy Exchange – apparently hope that with more debt and no grant, but ‘reinvented’ and ‘prepared to take more risks’, they will build more homes. Experience suggests that fewer homes have been built as grant has been cut. More borrowing will cost – and higher risks will increase the cost of their borrowing: that will mean higher rent and worse services for tenants and leaseholders. Many housing association chiefs have publicly backed away from the naked commercialism typified by Genesis and by its boss’s planned abandonment of social housing. Although his response quoted by Inside Housing that if only a third of associations admit to abandoning cheap rented housing “He suspects the other two thirds are ‘lying’”, has credibility. 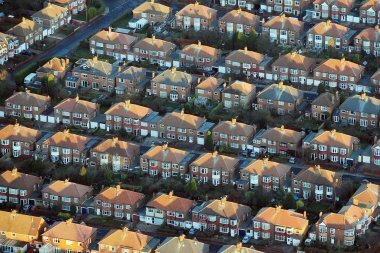 The National Housing Federation signed up to implement the governments ‘right to buy’ proposals arguing it would prevent the ONS reclassifying them. They also bargained measures of deregulation that will make it easier to move away from a social role. The effect of this agreement was to let the government avoid a Parliamentary debate. In defence of this they claim that it was inevitable that the government would have won although The Spectators normally well informed political correspondent Isabel Hardman reported that the Tories would have faced a serious rebellion and could have won. The minimum we can say is that no one should trust housing association ‘leaders’ to mount a serious defence of social housing although we are keen to work with groups such as Shout.